The Hidden Pool | Just Shooting Memories! 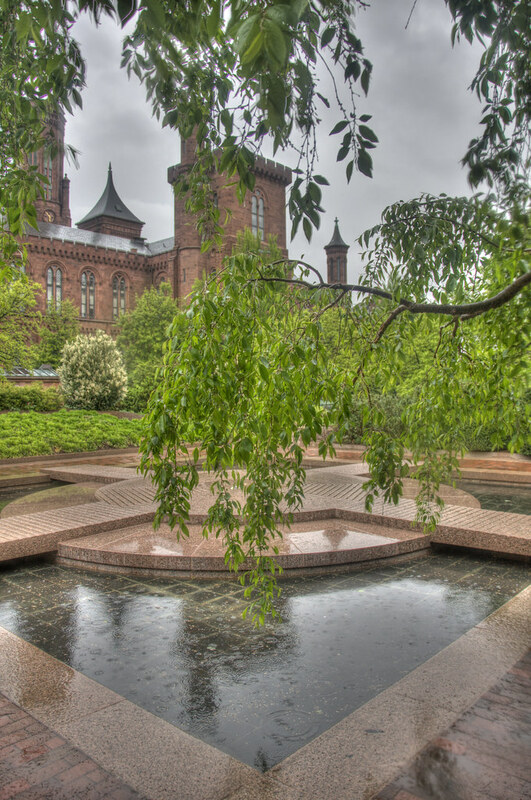 This pool is hidden in the gardens behind the “Castle” on the National Mall in Washington D.C. The garden is fantastic and a little mysterious. Every turn you go around opens new vistas. I thought this one was particularly cool because in the middle of a flower garden, there is a pool with no flowers around it. Not for a long way. I will explain more about that later. The other reason this garden is so cool is that it sits on top of several levels of museum. I don’t remember which museum is under the garden because it was closed by the time I made it here. However this museum is big enough that they have a tractor trailer truck entrance that is large enough they can drive in, turn around, then drive out. Simply amazing!